Wisty Andres - Ballet Arts Centre of Winchester, Inc. Originally from Tokyo, Japan, Wisty Andres has been blessed with the arts since she started playing music at age 4. She started ballet at 7 years old and had been dancing ever since, while dabbling in acrobatics and stilting along the way. She is an alumna of Interlochen Arts Academy where she performed Les Patineurs, Sleeping Beauty, Viva Vivaldi, Serenade, and other classical and contemporary works. Ms. Andres holds an AA in Dance from New World School of the Arts College in Miami, FL, where she studied Ballet and Modern with an emphasis on dance performance under the direction of Mary Lisa Burns. After earning her AA, she moved to Boston and joined Urbanity Dance as a part of their second company for 2 years. 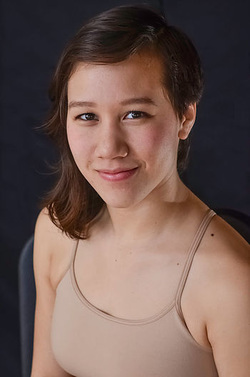 Ms. Andres has previously been a member of Urbanity Dance Second Company, 1000 virtues dance, Kat Nasti Dance, and was a dancer and rehearsal assistant for Penumbra:RME. She has also performed as an independent artist in various stages, including the Dance for World Community Festival, Boston Contemporary Dance Festival, Green Street Studios, The Dance Complex, Oberon Theater, Jordan Hall, Alvin Ailey Citigroup Theater (NYC), Institute of Contemporary Art in Boston, Boston University Dance Theater and Tsai Performance Center, NACHMO Boston, and various art galleries in the Greater Boston area. She has taught contemporary dance, Acro, Zumba, and dance fitness classes at Urbanity Dance, Green Street Studios, and Dothouse Health Medical Center. Ms. Andres is currently living in Boston, Massachusetts and working as a dancer and collaborative artist with Lorraine Chapman The Company, as well as performing as a solo artist, WISTY. She is the Head of House Management at Green Street Studios in Cambridge, MA and teaches dance and fitness classes in the Boston area. She also has over 4 years of experience in choreography, and has shown her work in various festivals and venues. Ms. Andres also is a Master Level Reiki Practitioner, and plays the accordion. She enjoys being the "jack of all trades" and the challenge of mastering many different skills.